North Western Melbourne Primary Health Network (NWMPHN) is looking for providers to implement a stepped care approach for proactive intervention to support the improved mental health and wellbeing of older adults living in the community. There are an estimated 188,000 older adults living in the NWMPHN catchment and investment in mental health services for these older adults is an issue that NWMPHN hopes to address. 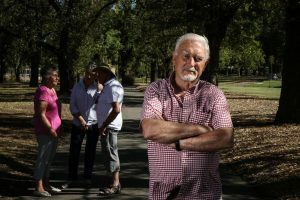 An estimated 10-15 per cent of older Australians who live in the community experience anxiety or depression. Sub-groups who have been found to have higher instances of poor mental health include people in hospital and/or with physical comorbidities, people with dementia and older carers. As people grow older, they can experience higher levels of psychological distress. It is estimated that 10 per cent of older adults are currently experiencing psychological distress and 10 per cent are experiencing chronic loneliness due to social isolation. Furthermore, for eight of the 10 years leading up to 2012, the highest age-specific suicide death rate was observed in males aged 85 and over. Most, but not all, older people who died by suicide had a diagnosable mental disorder at the time of death. This is most commonly severe depression. Older adults will be referred to this new service by an aged care provider, a general practitioner, a family member or carer. Service provision will occur either in the home or at a community venue. Lawrence Harvey, Director, Mental Health and Targeted Care, said that NWMPHN is excited at the opportunity to commission a service that will improve the mental health of older adults. “This is an opportunity to provide much needed support to our older adults who have so much to offer as part of the community. Ageing doesn’t have to mean being stressed, lonely or isolated,’’ Mr Harvey said. Providers are encouraged to respond to this tender with a model of care that meets the primary mental health needs of older adults in the NWMPHN catchment. This model will assess levels of complexity and respond to need using a stepped care approach. A collaborative response to the tender, involving key stakeholders working with older adults in the community, would be advantageous in developing a proactive and integrated model.